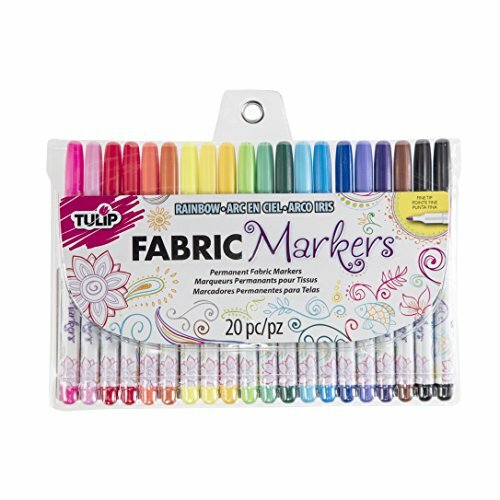 The Tulip Fabric Markers Fine Writers 20 Pack contains 20 fine writer bullet-tip markers in a rainbow of bright colors for doodling, outlining and writing on fabrics. 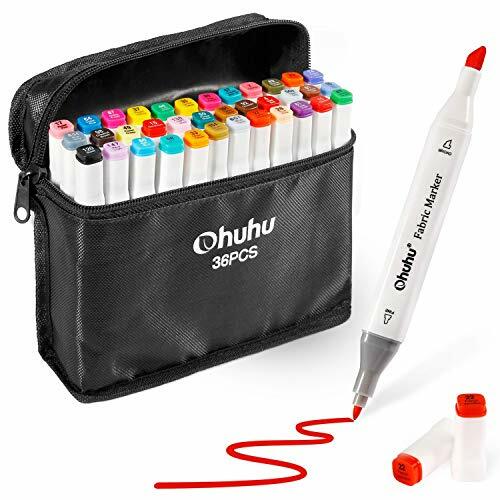 These nontoxic fabric markers are packaged in a reusable plastic pouch for easy storage and transport for creativity any time you need it. Permanent without heat setting, and machine washable. 36 VIBRANT COLORS: Whether you're an illustrator, craft addict, or a DIY enthusiast, the Ohuhu 36-color Fabric Marker Set has got you covered. The large range of gorgeous, highly pigmented colors pack a punch and will add dimension to your artwork. DUAL TIPPED: Double the tips, double the possibilities. Use the broad tip for large swaths of color and the fine tips for delicate details. A perfect gift for little doodlers, arts and crafters, designers etc. NEVER FADE-OUT AFTER 24H DRYING: Beauty fades, right? Not always! The professional-grade ink dries quickly and maintains its luster for a lifetime. PERFECT FOR DIY: Why settle for generic when you can rock your own design? These ready-to-use fabric markers are just what you need to spice up T-shirts, jeans, hats, handbags, napkins, lampshades, linens, shoes, pillowcases, backpack and so much more. KID-FRIENDLY AND NONTOXIC: The whole family can join in on the fun! The Ohuhu Fabric Markers meet strict EN 71-3 standards and are safe for all ages. They're great for kids and kids at heart. 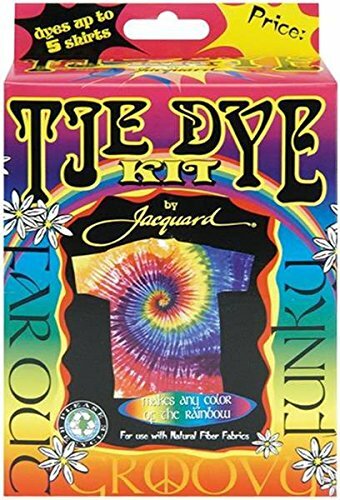 Funky and Groovy Jacquard Tie Dye Kit for 5 Shirts Tie It Dye It Wear It This kit is easy! You will be Tie-Dying your own shirts in no time! Simply wet your garments and tie with rubber bands. Soak tied garment in Soda Ash and water mixture. Add water to dye bottles. Apply dye, wait 12 to 24 hours, rinse, wash, dry and enjoy! 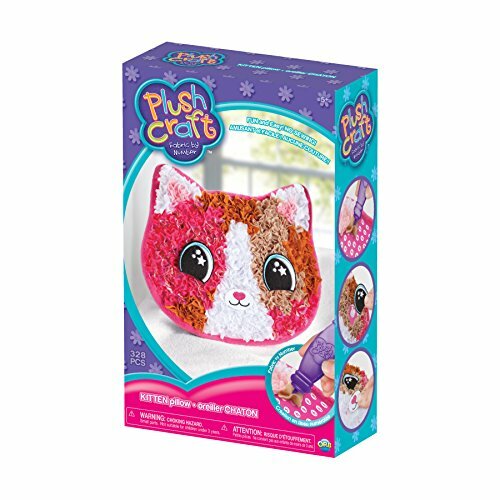 This is total fun for all ages! Kit Includes: 1 Pair of gloves 3 Squirt bottles Bunch of Rubber Bands 1/3 Pound of Dye Fixer Pre-measured Dye: 12 oz. Yellow 18 oz. Magenta 16 oz. Turquoise Made in the USA Ages 8 and up with adult supervision. Special Characteristics Permanent color - designed to not wash out of clothing or fade with washing. Quick Dry - No setting required. Professional Quality - odorless, lightfast, acid-free. Kids-safe. No mess unlike paints or hassle of using dye. Tips: Select Your Fabric Carefully The grain of your fabric has an impact on how well a fabric marker works. A fine grain or smooth material is easier to work on compare to a coarse grain or rough texture to a fabric. Test on a scrap bit of fabric or draw on out of sight area, such as an inside seam. Be careful not to stop or pause with the tip of the marker resting on the fabric as the color will bleed out into it. If you find yourself hesitating, lift the marker off the fabric while you think about what you're doing. Stenciling With a Fabric Marker Fabric markers work very well with stencils. For an outline, run the tip along the edge of a stencil, keeping the fabric pens upright so it doesn't slip underneath. To "color in" a stencil design, you can do it with the adhesive stencil that doesn't slip as you're working to avoid accidentally going over the edge of the design. Personalize by drawing or painting your favorite Clothes, tshirt, T-shirt, jeans, pants, bags, shoes, pillow cases, backpacks, decorate a tie, cocktail napkins, lampshade, cushion, pillowcases, baseball caps, wall art, clothing, handbags, baby tee, onesies, sneakers, blankets, tapestries and curtains. Upcycle a plain shirt, DIY doodle color, design quilt square, write or paint a monogram / motif for special gifts on cloth, canvas, or any fabric materials. BEST VALUE PACK - 50% MORE INK! 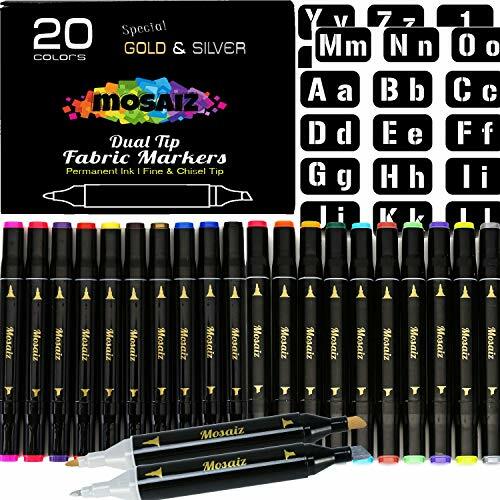 20 Dual Tip Premium quality fabric markers paint set including special gold and silver and 62 Alphabet and Numbers Stencils.This professional fabric pens kit pack is rich pigmented. Vibrant graffiti. Bold and vivid colors including unique Gold, Silver, Black, Brown, Red, Blue, Yellow, Green, Orange, Purple, Pink and many more. QUALITY - Quick drying, Bleed & Fade-resistant. Safe kit for children and adult, Non-Toxic. Odorless, Chlorine resistant, Permanent, Fade proof that going to last for years and years. DUAL TIP - Extra Fine 1mm tip and broad Chisel tip 6mm. Easily create thick and thin lines for smooth writing, doodle, coloring, outlining, sketching, underlining, writing or any DIY project on fabrics or paper. Personalized your name label or laundry labels in school, childcare, camp and nursing home. Write on uniforms, clothing labels, baby clothes labels, kids clothes labels, sporting gear, caps, lunch bag, school labels, gym clothes, jackets, t shirt, backpacks, luggage and camping gear. VERSATILE SET - Great for use on fabric painting, textile, canvas or cloth. These markers are perfect for decorating clothes, linen, shirt, T-shirt, jeans, pants, bags, shoes, pillowcases, backpacks, decorate a tie, cocktail napkins, lampshade, cushion, baseball caps, wall art, clothing, handbags, baby tee, sneakers, quilting, table runners, placemats, onesies and bibs. 62 Characters STENCILS - Consists of Letters and numbers. Adhesive and Reusable. It is so easy to paint. Never again get stuck with no idea how to paint. The templates are made from durable PVC plastic. It can be used several times. Being reusable the stencils lose their sticking ability after 3-5 uses. Personalize your clothing in one step with this 59-piece Tulip tie-dye kit. The cool sea-themed colors work on natural-fiber fabrics, including cotton, rayon, and wool, giving you decorative flexibility, and the nontoxic dye remains bright on your wearable even after repeated machine washing for a permanent design. 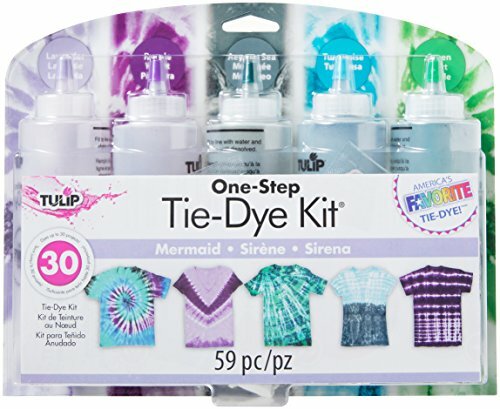 This Mermaid Tulip tie-dye kit contains enough supplies for 30 projects, making it a great choice for group crafting. 5 4-ounce bottles of one-step dyes: lavender, purple, Aegean sea, turquoise, and green. 5 dye refill packs. 8 plastic gloves. 40 rubber bands. Project guide. 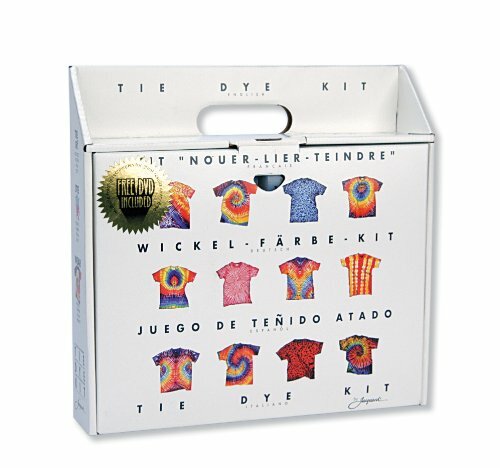 Jacquard International Tie Dye Kit is a fun way to introduce tie dye to large groups and features packaging and instructions in French, German, Spainish and Italian. 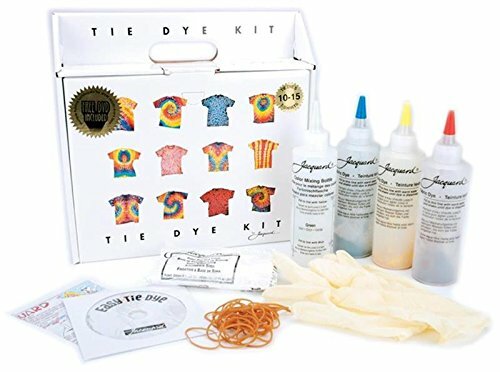 Designed as an all ages activity this kit contains enough materials to dye up to 15 adult T-shirts. Supplies included are: pre-measured Procion MX Dyes (1 each in Red, Blue and Yellow), 4 mixing bottles, soda ash dye fixer, gloves, rubber bands, DVD showing multiple folding patterns and instructions with tying patterns. Kit can be used on cotton and other natural fabrics or clothing (not included). Just tie it, dye it, and wow the world! Everything you need to dye up to 15 T-Shirts: pre-measured red, blue, and yellow dye, dye fixer, four squirt bottles, rubber gloves, and rubber bands. Use ordinary tap water; no heating necessary. All ages. Adult supervision required. This casual blouse Off The Shoulder design ,Comfortable regular T-shirt,Lightweight fabric. Loose fit silhouette. 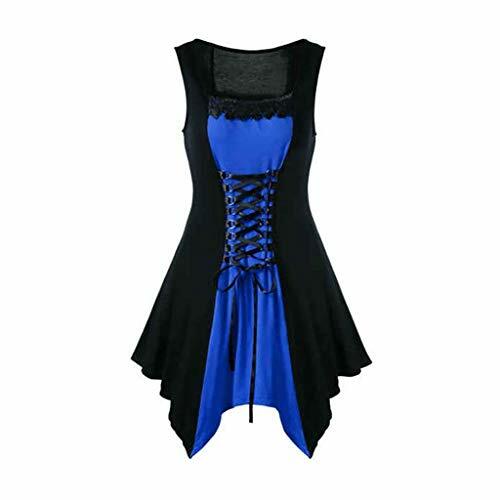  Dress for women navy blue dress for women shift dress for women dress shirts for women dress for women elegant short dress button down dress for women tshirt dress for women dress for wedding guest women little black dress summer dress for women dress for women party white dress for women maxi dress for women romper dress for women black dress pants for women black dress shoes . Dress for women navy blue dress for women shift dress for women dress shirts for women dress for women elegant short dress for women button down dress for women tshirt dress for women dress for wedding guest women little black dress for women summer dress for women dress for women party white dress for women maxi dress for women romper dress for women black dress pants for women black dress shoes for women dashiki dress for women dress for women plus size white dress shoes for women. 2.This Special design blouse and will steal your heart! Chic and comfy, you can't go wrong with this amazing cute blouse! Our brand,MILIMIEYIK, is a company dedicated to providing consumers with high quality clothing. High quality cloth, exquisite workmanship and excellent management are all the guarantee for the quality of our clothes.Over the years has brought thousands of consumers with excellent dress experience, please feel free to buy in our shop. Materials:Comfortable cotton material does not hurt the body, for you to resist the wind chill while allowing you to have a relaxed dress experience. Other fabrics follow strict health standards and can be worn next to the skin. 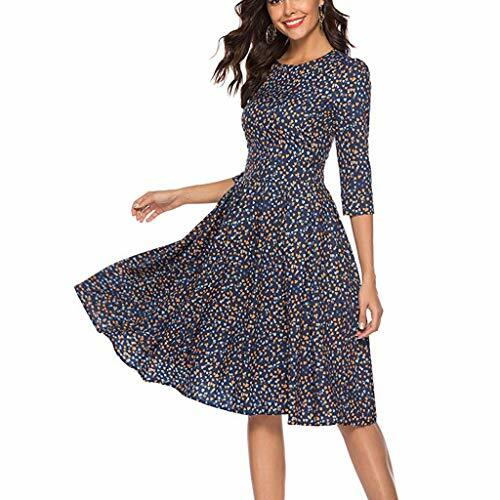 Occasion: everyday, casual, informal occasion, travel, sport, go out, hang out, this dress applies to a variety of informal occasions. If you don't know what to wear, it's the right choice. REPLACEMENT BAND: Personalized Your for Garmin Smarwatch and more fashionable. LEATHER BAND + Woven Nylon : the watch band is made of leather + Woven Nylon comfortable to wear and soft to feeling, Available for both casual and business, sports and life. 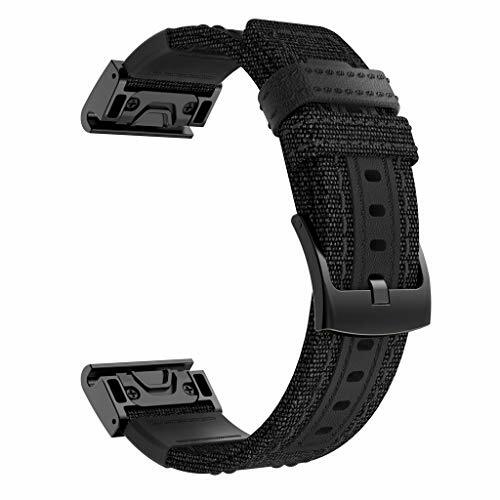 EASY INSTALLEN and REMOVAL: Band can be installed onto for Garmin Watch Lugs (not included) on both ends precisely and securely. Easy and direct installation and removal. STAINESS STEELBUKLE CLASP: The clasp is made of the stainless steel buckle that insures stability and durability. Multiple alternative holes for adjustable length, quick and simple to install and remove the band. Choice as an exquisite and shiny gift for any occasion: Christmas, Thanksgiving Day, Mother's Day, Wedding Anniversary, Birthday, Valentine's day etc.